My Worldprofit Review, Is It Legit Or Scam? First of I want to let everyone know I have not paid into this and I’m not going to. Every time a program has a free option, I go ahead and try it. This company only provides a free window view, so that’s where this review is sitting in retrospective. So here is my Worldprofit Review. World Profit has been around since 1994, based in Edmonton, Alberta, and was founded by George Kosch, Sandi Hunter, and Jeffrey Lant. World Profit (WP) is an online marketplace and affiliate marketing platform that offers website hosting and domains, paid advertising, traffic exchanges, email safelists, autoresponder programs, etc., that members can both use and sell. Most of their products are outdated, while some will even get you a malware alert. They have a 3-day money back policy of which they will stop at nothing not to tell you. They will tell you that you will not see any money for 90 days while keeping your money for 87 days that you will never see again. They are very good at getting your money if during their videos you feel pushed, you are and I recommend running fast in the other direction. I don’t have to tell you how much a waste of money this program is if you type in World Profit review on google, every site you get will be a negative one. This company has quite a reputation for having lots of complaints. Normally scams out there try to filter out the negatives by pushing them down with fake reviews, I guess they had so many that they couldn’t push down. There is a free option available, but that’s only to tell you that you have to pay to hear it. If your one hope in life is to make this company money, then, by all means, go ahead because that’s what all their products are aimed at. This program is for the company itself to generate as much money as it can. For the unsuspecting visitor, it can be a trap. The 3-day money back policy is so small, no one sees it and before it’s too late, they will never see their money as well. The training was great in 1994 but in the current year of 2017, it’s completely outdated. As a professional Marketer myself, I understand that the internet is forever changing, there is not one formula created that stays the same. There is no get rich quick scheme, it’s a long process of learning to get rich. There is not support, more like promotion after promotion. There was a time when someone tried to ask them about they money back policy, it took them 3 times and finally, they told them that he would have to ask another department on customer service. Either there’s a major communication problem or that’s they money-making technique. To stand in the window and look at their product is free, to actually see it in action will cost you 99/month and you will find that they will want more after that. Their money making system doesn’t stop there. Is World Profit a scam, I don’t know, go and check out all the complaints they have accumulated so you can make your own opinion. There are better places out there that will offer you training in Online Marketing. I personally like Wealthy Affiliate, a community that pays forward and believes in your success. Thanks for visiting, check out my social sites Google+, twitter, and facebook. If you have any questions or concerns, feel free to leave them below. Previous Previous post: Great Tips On Keeping Your Twitter Location Search A Secret. I have never come across world profit review but I am thinking if the roots traced back to 1994, it should be pretty legit. 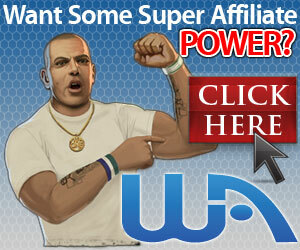 I also agree that Wealthy Affiliate is one of the best affiliate marketing training around. I’ve had so much help help from Wealthy Affilite, it’s amazing! Their roots are legit, unfortunately, most of their tools and training are outdated. So take it with a grain of sand. Hi Nate, thanks for helping to figure out what this program is about. I have heard some both of complaints and good words and I did not know who was saying the truth. It is sad to see so many scams on the internet these days while there are legit ways to earn money. Well everyone is looking for an easy way to make money, these companies just try to profit from that. As business people, we need to be away that companies like this are out there.